I have scheduled this card as i am in the uk..
Lovely image and I really like the bow. Beautiful shoe and I love your bow, Sylvie! Love it - turned out great! Have fun in the UK! 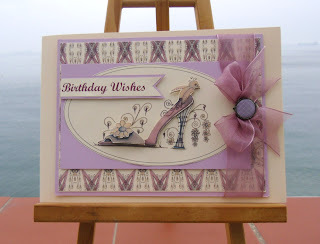 Beautiful card Sylvie and just love that shoe..
Lovely card. Love the soft color.